We proudly serve our nation’s veterans. When a VA patient needs a stairlift or other mobility equipment, the VA reaches out to us for quotes, inspections, equipment, installation, and service. For over a decade, Mobility Plus has served VA patients and government employees with the freedom of mobility offered by our products. Veteran needs a mobility product. VA physician or physical therapist places the order with the VAs Prosthetics Department. 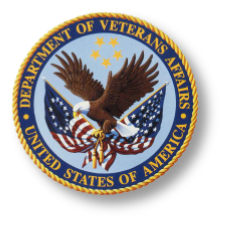 VA Prosthetics Department will request a quotation directly from Mobility Plus. Mobility Plus will visit the veteran's location and measure and photograph the project. Mobility Plus will prepare the VA quote and submit to the VA. Upon approval the VA will contact Mobility Plus and send a Purchase Order. Mobility Plus will have the equipment shipped. Mobility Plus will return to veteran's home and provide installation and training. Whether you’re a veteran or a civilian, we can help. We have a government contract as a preferred supplier to the VA. We have served thousands of veterans and are honored to support our servicemen and women. Since 2007, our customers have relied on us to provide mobility equipment that allows them to age in place. We’ve helped families like yours stay active and mobile at home and in the community. We work closely with families to select and install the best equipment to meet your specific mobility needs. From stairlifts and vertical lifts to modular and portable entry ramps and of course mobility transportation, we provide what you or your loved ones need to maintain independence. We are a preferred supplier with a government contract to the Veterans Administration and GSA. We have served thousands of veterans and are honored to support our servicemen and women. We’ve established relationships with the top US mobility equipment manufacturers, which ensures quality products, prompt delivery and fair prices for you. We offer equipment for purchase and for rent. In the case of a temporary injury or while recovering from surgery, you might only need a temporary mobility solution. We offer flexible options to make homes safe and accessible at every stage. Let our experts help you find the right mobility solution to fit your needs.